The bursa is a tough, flat, membranous sac enclosing any joint between bones in our body. This sac contains a lubricating fluid and lies close to the tendons that attach the muscles to the joint. 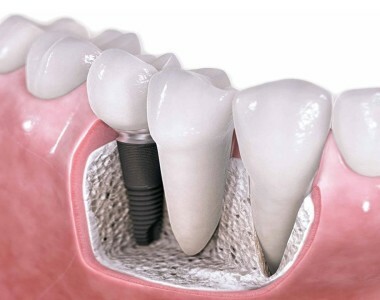 The fluid in the bursa keeps the ends of the bones in a joint well lubricated and in good condition. Bursitis is a very painful condition resulting from an excessive accumulation of fluid in the bursa, causing it to swell up and press on the neighboring tissues. Bursitis may be acute, occurring suddenly as a result of injury or trauma. It may be chronic, occurring frequently. When any one of the joints in the body is stressed by being frequently, repeatedly and/or overused for a sustained period of time, the bursa responds by producing excess fluid and becomes painfully inflamed. There are many other causes for bursitis. These are: staphylococcal or some bacterial infection; deposits of calcium or uric acid crystals; abnormal joints because of difference in leg lengths; arthritis; bone spurs; rheumatoid arthritis; psoriatic arthritis; tuberculosis; thyroid diseases; diabetes; or gout. The type of bursitis you have depends on which of the joints in your body is affected. Shoulder and elbow bursitis are often associated with excessive physical activity that stress these joints. Bursitis of the hip joint may be due to infection or injury. Runners and ballet dancers are subject to hip bursitis. Sitting for a long time in the same position may cause ischial bursitis. The knee joints could be affected by frequent kneeling in upright position, obesity in conjunction with diseases like diabetes or osteoporosis. Young athletes who do not take care to wear well fitting shoes may develop calcaneal bursitis of the heel or ankle. There are several options for treatment of bursitis. Very often treatment for bursitis may involve simple procedures of bursitis physical therapy like R.I.C.E, which is resting, icing, compression and elevation of the affected joint. Other bursitis physical therapy procedures are stretching and muscle strengthening exercises, and soft tissue manipulation. Bursitis treatment may also utilize therapeutic ultrasound. Ultrasound physical therapy reduces pain and inflammation in the bursa because the ultra sound waves increase blood circulation and oxygen to the injury site. In short, ultrasound therapy causes micro-vibrations in the soft tissues beneath the skin’s surface to increase blood supply and subsequently decrease local swelling and chronic inflammation. The vibrations also help to speed healing and relieve pain associated with bursitis. Home ultrasound machines are now available for ultrasound bursitis treatment and rehabilitation. Such ultrasonic treatments are more affordable and convenient than chiropractor and physical therapist visits. Previously, ultrasound therapy treatments have only be available for professional athletes, but it is now possible to rehab bursitis, and many other chronic injuries, in the comfort of your own home. Soft tissue injuries, such as bursitis, require a specific kind of home ultrasound machine. A home ultrasound physical therapy machine should emit 1Mhz ultrasound waves. It is also important to purchase an FDA approved ultrasound unit that is quality manufactured. Your portable therapeutic ultrasound device should also be covered with at least a 1 year warranty.